Most people know who Prince Philip is. He’s held in quite high esteem and perhaps even loved for his politically incorrect remarks and insults and fiery Greek temper. 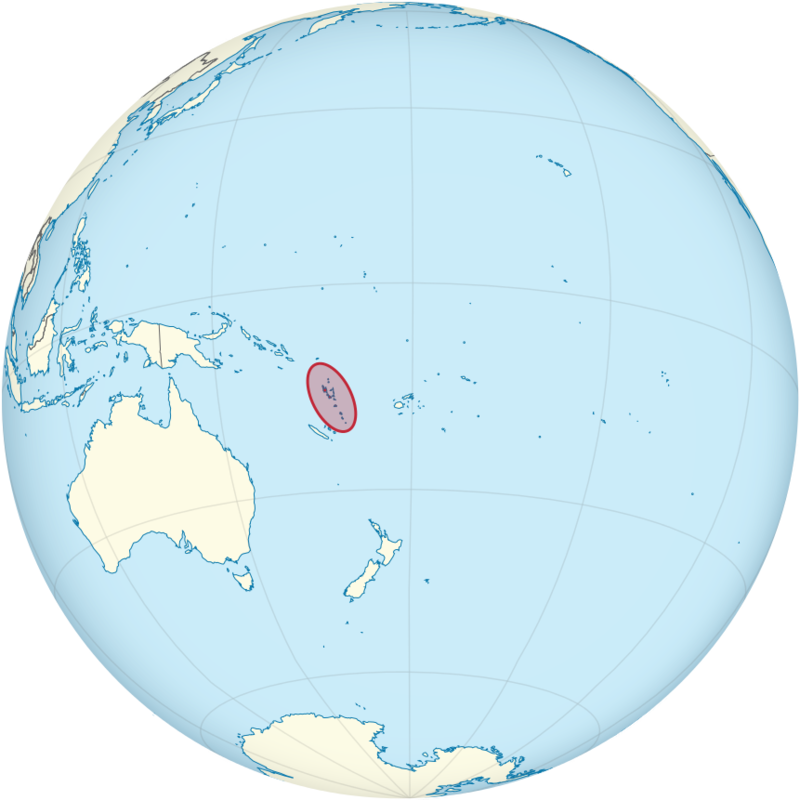 However, outside of Buckingham Palace there is no where quite on earth that thinks as much of the man as the Kastom people in the tiny Pacific island of Vanuatu. That’s because they don’t think of Prince Philip as a man or even a prince but rather they worship him as a god. You’d be forgiven for thinking this all sounds a little bizarre, perhaps like a plot from an old Star Trek episode but despite being cut off from the world in almost every way, the people in the Yaohanen village are very familiar with the ever-present Prince. To the Kastom people in the Yaohnanen village on the Tanna island in Vanuatu(previously an Anglo-French colony called the New Hebrides) in the South Pacific, Prince Philip is the son of a mountain God who travelled the seas to find a wealthy and powerful bride. 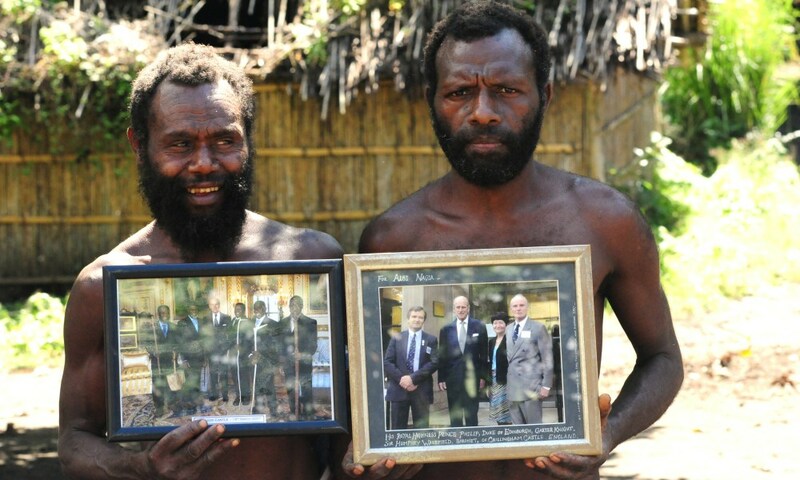 The people of Tanna believe that Prince Philip will “heal their land”. 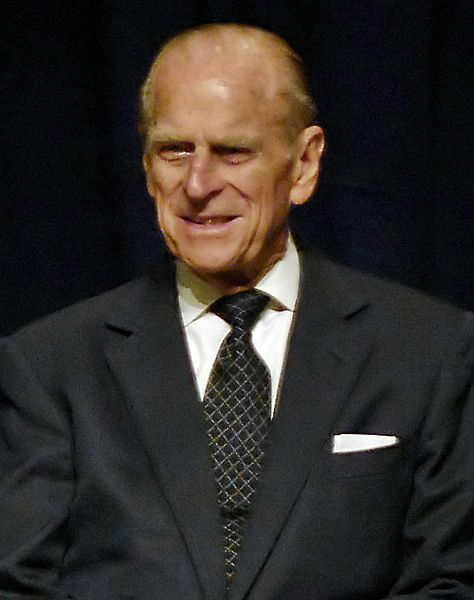 The belief that the Duke of Edinburgh was the son of a God all started when government offices displayed portraits of The Queen and him in the 1960s. Prince Philip visited the island in 1971, and then with Queen Elizabeth in 1974, which only furthered their belief. Possibly because they saw what respect the colonial officials had for the Queen so they could imagine just how important her husband is. John Champion, the British Resident Commissioner, informed the Duke about the cult, now dubbed ‘The Prince Philip Movement’, and suggested he send the island a signed photograph. The Kastom people were delighted and sent him a nal-nal (a traditional pig-killing club) as a thank-you. Since his first signed photo, Prince Philip has sent a total of three official photographs. Part of the explanation of why Prince Philip, is the island’s link to England. “Prince Philip is important because ancestors told us part of our custom is in England” continued Malia. Unfortunately for the tribe, word has just reached them that Prince Philip will be retiring from public duties later this year at the age of 96 and surely deserving of a retirement. The chances are if he won’t be going much around the U.K. then the chances of him ever making it to their village in the near future can’t be that great. It might have been assumed that such an announcement might bring an end to what is known as the Prince Philip movement but if anything it seems that as a god, Prince Philip is growing ever more powerful. They told me that they see Philip’s living in a Palace, surrounded by guards, and travelling in a car with darkened windows, as evidence of his taboo status. They may well see his withdrawal from public duties as connected to that – having attained some higher rung of taboo, sacred status. The tribe also believe Prince Philip will return to the island in some form – ‘spiritually or bodily’. As news broke amongst the islander, Vanuatu has been struck by tropical cyclone Donna and it has been said they have interpreted the stormy weather as a sign of Philip’s mystical status growing. Aside from visiting the island in the past, the Duke of Edinburgh has also met with members of the tribe when they have visited London. He refuses to influence their unique culture in anyway except for advising the villagers that they shouldn’t accept money from journalists or travellers and instead barter with food and belongings. Even as he approaches his 96th birthday, the Prince has already spent almost 30 days this year travelling and conducting some of the hundreds of public appearances he has made each and every year since the 1950’s. To see a little more about this interesting tribe of just 400 people, check out this 2010 news report. and for a slightly longer mini-documentary…. This entry was posted in Life, News and tagged Faith, God, Life, News, Prince Philip, religion, Royal Family, Vanuatu, weird news. Bookmark the permalink. 3 Responses to Prince Philip and the islanders who worship him as a god. Very interesting information. Not heard of it elsewhere. Yes, it is a quite unique culture that they have. Is it something to do with the atomic testing carried out in that area? the sickness?